Users outside the United States may require different data to show on Invoice PDFs. Some need the information to be presented Tax Inclusive, others need Tax Exclusive, and others No Tax shown at all. You can customizing the way your invoice table displays by using different tags in the template's HTML, and modifying the headers of the table. 1. Start by heading to Admin > PDF/Email Templates > Invoice Templates. 3. 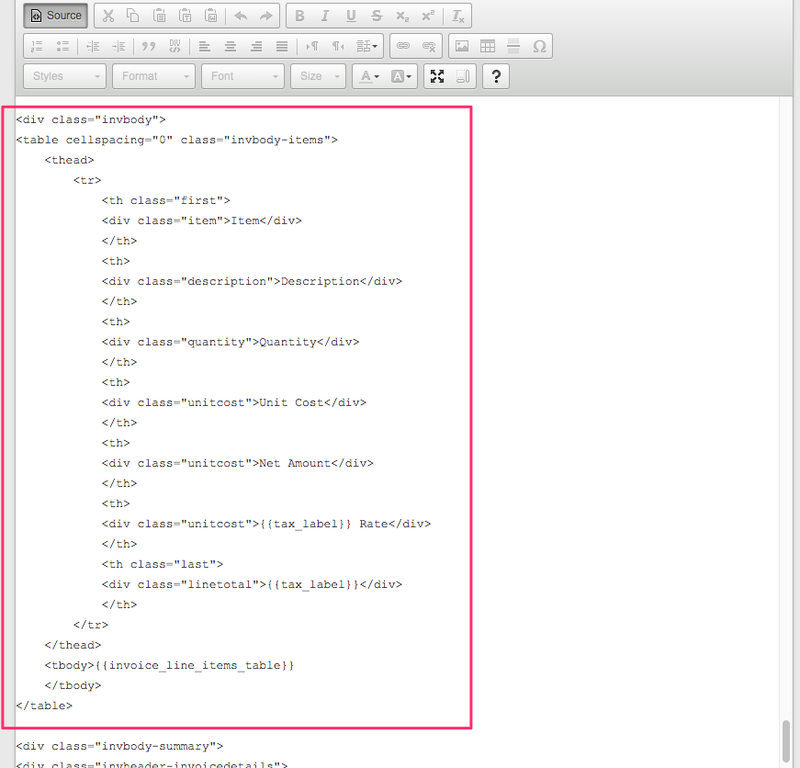 Click on the "Source" button to access the underlying HTML. 4. 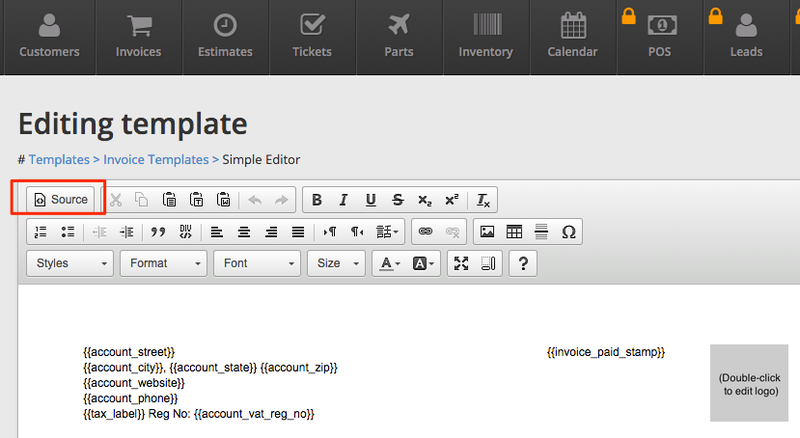 Search for <div class="invbody"> to find the portion of the code that is generating your Invoice Table. This block of code is what you're going to be replacing. 6. Click on the "Source" button again. If you need to edit the language in the table headers, you can do that now. 7. 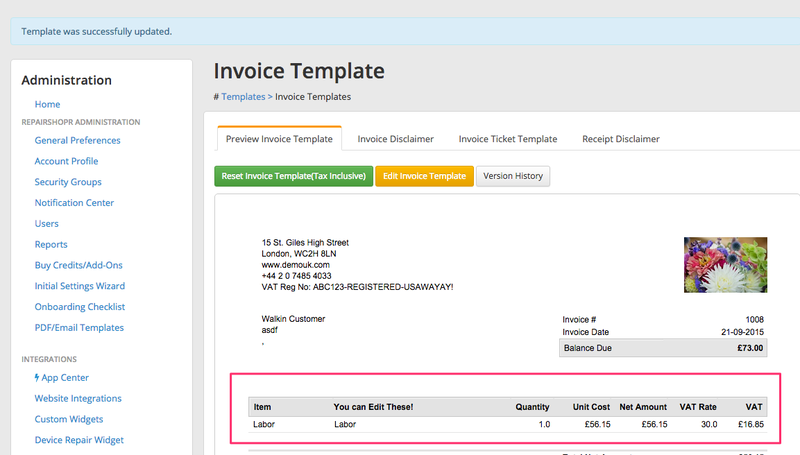 Click on the green "Update Template" button and check out your new Invoice Table!